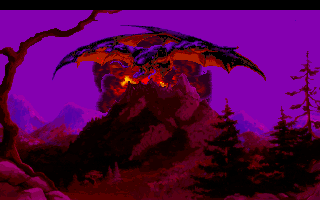 After dallying in Tarna, the hero is mysteriously zapped to the land of Mordavia to take on the shadows of darkness, as promised back in the ending of Quest for Glory II. Mordavia is a Slavic land that bears more than a passing resemblance to Transylvania. 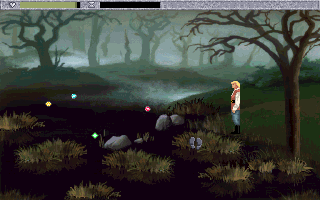 It has a bit of a spooky horror atmosphere to it, complete with undead creatures and monster movie mainstays. 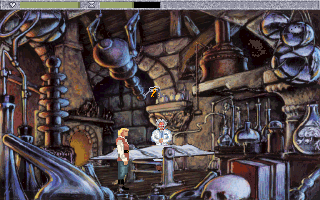 There’s a mad scientist character named Dr. Cranium who essentially acts as an apothecary, dealing out potions and pills. 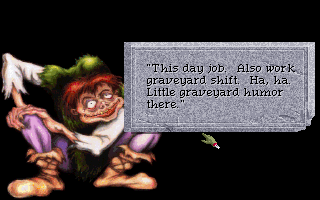 There’s a grave digger named Igor, and a spooky castle, guarded by a Boris Karloff look-a-like. Of course, vampires play pretty heavily into all of this, although they’re usually portrayed in a rather sympathetic manner. After all, one of your first friends is Katrina, a mysterious cloaked woman who only comes out at night, which is none too subtle. 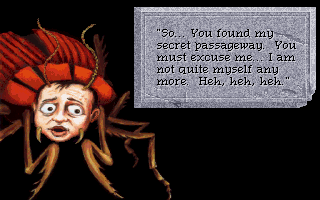 The real evil is Ad Avis, who somehow survived your attack in Quest for Glory II and is now back for revenge. 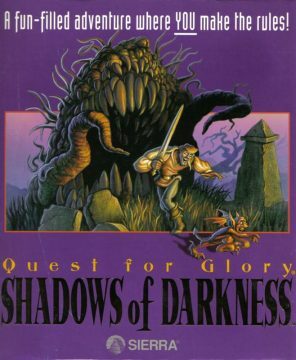 In some ways, Quest for Glory IV (the unofficial name, seeing how the numeral is missing from the title) is a throwback to the first game. There’s a single town, along with an expansive labyrinthine forest to explore. Your primary task, as you eventually learn, is to hunt down seven rituals, contained in seven scrolls across the land. 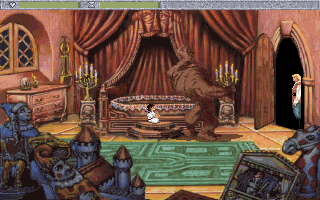 During your adventures you’ll also encounter Baba Yaga, who has since fled from the land of Spielburg, and work to reunite a young vampire child with her family. 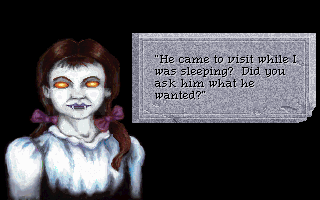 Erana also features more heavily into the plot too – if you sleep in any of her gardens, you’ll have nightmares that clue you in to her fate. 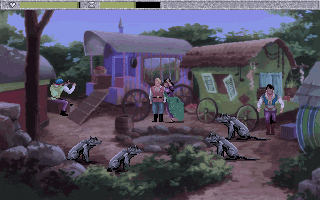 You’ll also come across the mysterious (and wacky) Antwerps again, which haven’t truly been seen since the first game. The quests for each of the classes are much more fleshed out than in the previous game too. At one point you’ll meet the Rusalka, a beautiful naked woman in the middle of the lake. Of course, like any Siren-type creature, if you run into her arms she’ll drown you. If you give her some flowers, you can become friends with her and chat about her woes. The scenario is all quite touching – how often can you befriend a dangerous creature? – but only the Paladin can undertake the quest to free her. There’s also a fairly expansive subquest regarding the ghost of the Paladin Piotyr, who seeks to restore his unrightfully sullied name. 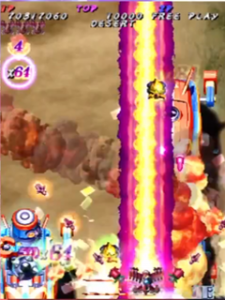 In addition there’s a new skill, measured by the Acrobatics stat, plus a new Jump command to go along with it. Perhaps in order to capitalize on the popularity of Street Fighter II and other similar arcade games at the time, the battle perspective has switched to a side viewpoint, complete with gigantic sprites. 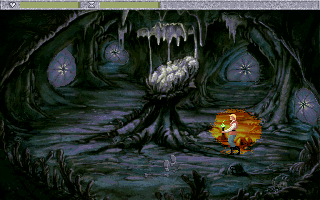 Despite the graphics, however, it plays nothing like any typical fighting game. Using the mouse, you can click around the area to advance, retreat, jump or swipe your melee weapons. This system is much more advantageous for Magicians and Thieves, since they can use ranged spells or daggers without putting themselves directly in the line of combat. Ultimately though, it still tends to devolve into button mashing, although it’s not nearly as sloppy as the original games. 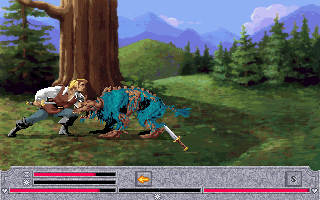 There are actual sound effects when taking damage, and you can visibly see the enemies dodging your blows, instead of your sword simply passing through them. If you’re too aggravated by these segments, you can also set it to auto-battle, and adjust the levels of aggression used by the AI. 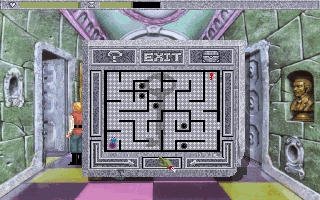 There are a lot more logic puzzles too. Some are simple color matching exercises, used when disarming traps as the Thief, but others require a bit of thinking, mostly requiring that you spell out a name in the correct order, using either letters or colors. Perhaps the most maddening are the colored bells, requiring you to play a game of Simon before you’re allowed to pass. Each time you enter, it just gets longer and longer and longer. There’s more of the usual Quest for Glory humor too, including Monty Python-style killer rabbits that inhabit the forest. Dr. Cranium, the mad scientist based off of the Dr. 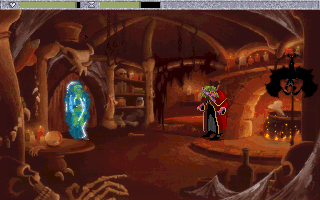 Brain character in Sierra’s edutainment series, requests that you give him formulas for various potions. (This is the game’s method of copy protection. Unlike many other games, it was not removed for the CD version, so you’ll still need a manual.) In addition to the usual earth, fire, wind and water elements, he insists that there’s a fifth element based on pizza. 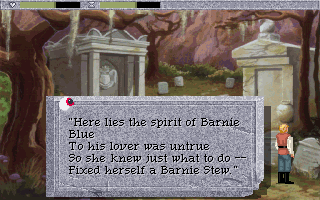 Much of the humor shines through the voice acting in the CD version. Several characters are parodies of famous actors – other than the Boris Karloff clone, the leader of the thieves guild looks like Peter Lorre, and some of the townspeople have voices and speech patterns based on Rodney Dangerfield and Jack Nicholson. Also now all of the major characters have full screen portraits as you talk to them. 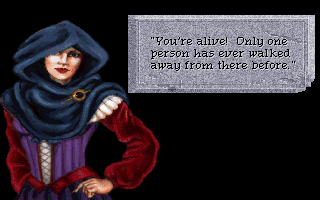 Their dialogue isn’t lip synched like some other Sierra games, but it still lends a ton of personality to the inhabitants of Mordavia. The narrator’s voice is provided by John Rhys Davis – famous for his role as Sallah in the Indiana Jones movies, and Ghimli in the Lord of the Rings films – and while he has some fun with certain lines, it’s a bit on the dry side. 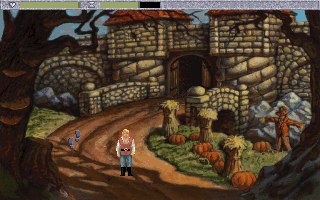 The music in the Quest for Glory games has usually been pretty decent, but there’s been little outside of the title themes or battle songs that really stood out. 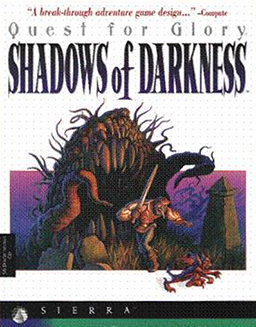 In contrast, Shadow of Darkness’ soundtrack is spectacular, especially with its many battle themes and beautiful rock ballads. Although it could’ve benefitted from real guitar instrumentation, the MIDI music, even with the weak Adlib synth, is pretty damn good. 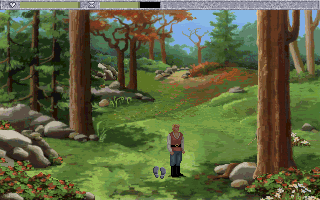 The graphics have seen some subtle improvements too. The trees in the forest actually cast shadows over your character as he walks beneath them, which is pretty cool. 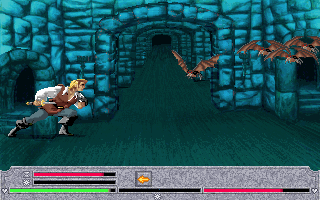 Quest for Glory IV is undoubtedly one of the best games in the series, having taken the template of the first game, and improved on practically every aspect, while keeping down some of the aggravating issues from its other sequels. Lori Cole even admitted in interviews that it’s one of her favorites. The only real bummer is how buggy it is. 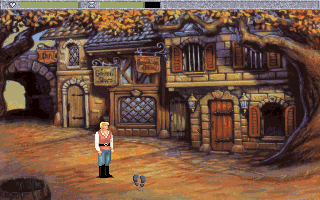 The Quest for Glory games have always had QA issues, but it’s particularly bad here, especially in the original disk release. Even with the fan made patches, some areas can become impossible to conquer, or require strange workarounds in order to advance.